I love Flipgrid for the ease with which students can record videos with their webcams to reply to prompts that you give them. But not every student likes to appear on camera. 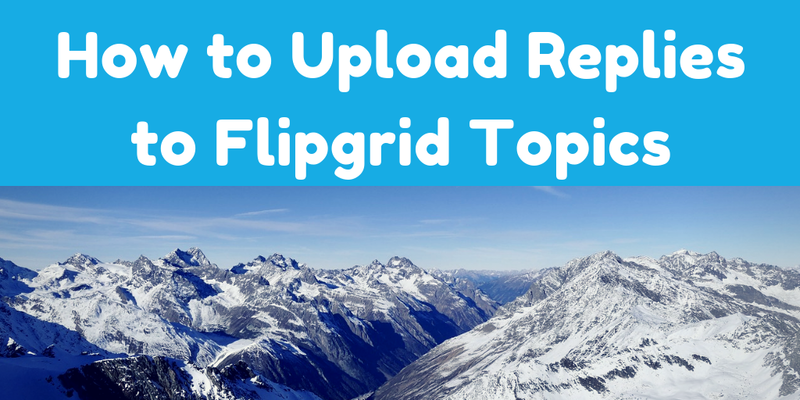 And not every Flipgrid topic has to be a free-form response. It is in those instances that your students can use the option to upload a video rather than record through Flipgrid. In the following video I demonstrate how students can upload videos to reply to a Flipgrid topic. Using the upload reply option could be a good way to collect a bunch of students' whiteboard instructional videos in one place. For example, you could create a Flipgrid topic in which students have to share video lessons about how to solve a series of math problems. Students could then either use a separate app like Show Me to make a whiteboard video, save it, and upload to the Flipgrid topic. At the same time you might have some students who would prefer to be on camera to explain their lesson and they could record directly to the Flipgrid topic through their webcams.